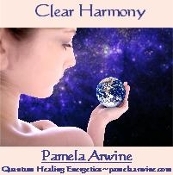 Clear Harmony is a working meditation designed to help you restore your emotional (astral) body and that of another to original clarity and brightness through clearing relationship emotions and reactions which may have caused negative energy formations. In addition to clearing relationships with others, it may also facilitate the process of creating harmony with your own subpersonalities. Single CD. 47 min.